Get super alloy performance at a tenth of the cost. Coating stainless steel with Dursan® or Silcolloy® is the most cost effective way to protect your investment. Combine the performance you expect from Hastelloy® with the ideal machining properties of stainless steel. SilcoTek's coatings offer protection to aggressive media across the pH range, including offshore or subsea, refinery, and chemical processing environments at a fraction of the price of super alloys. Both coatings are unharmed after >8000 hours of salt spray exposure. SilcoTek's coatings are extremely thin (~1µm) and do not interfere with design tolerances. The environmentally benign treatments bond at the molecular level to the substrate, providing flexible yet durable protection from corrosives. Want to learn more? Download our brochure or contact us. ► Download our application guide below. 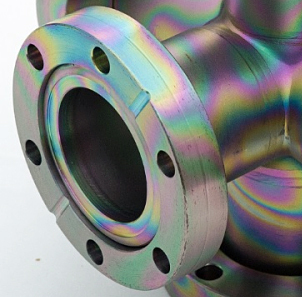 Learn more about how our coatings can give you super alloy performance at a fraction of the price.